It all started last September when Foursquare aggregated its user data — in the form of both user check-ins and passive location data acquired from GPS-enabled devices — to measure the foot traffic at Apple stores both before and after the official launch of the iPhone 6s and 6s Plus. With the collected data, Foursquare predicted that the iPhone’s first-week sales would be in the 13 to 15 million unit range. The final numbers came in at 13 million. The consistency of Foursquare’s predictions showed that they knew something Wall Street didn’t. An investor who knew what Foursquare knew could have made millions. However, it wasn’t until Foursquare accurately predicted Chipotle’s 30% drop in sales with similar methods — a drop that resulted in a 6% decrease in shares — that the potential of their data became apparent. The consistency of Foursquare’s predictions showed that they knew something Wall Street didn’t. An investor who knew what Foursquare knew could have made millions. To most of the world Foursquare is a social media company. But to a handful of sophisticated investors on Wall Street, the firm is a proprietor of a valuable alternative dataset. And alternative data is a hot commodity today. According to TABB Group research, alternative data spending will double in the next five years to US $400 million. The question remains: What is alternative data exactly? According to The Wall Street Journal’s Bradley Hope, alternative data is “any kind of information that might affect an investment decision but isn’t part of the traditional feed of market statistics and company financials”. Traditional forms of financial data include historical market prices, press releases and company filings. Alternative data, on the other hand, comes in a wide variety of forms, from social media sentiment (opinion mining) and consumer transaction data to satellite imagery and GPS-powered location insights, whose value Foursquare has essentially proven as fact. While traditional data continues to be a necessity for investors today, alternative data promises that elusive edge that all investors crave and holds signalling power for some aspect of the economy. Whether alternative data is a side gig or a company’s core product, one thing is certain: It is lucrative business. What is exciting about the Foursquare story is that the data that has become so valuable for the company was merely a byproduct (“exhaust data”) of its core business. Foursquare was able to successfully create a new revenue stream from something it had been doing as a matter of course for its primary business. Other businesses can take note here: they may be sitting on a treasure trove of data assets without having explicitly considered selling to capital markets. Whether alternative data is a side gig or a company’s core product, one thing is certain: It is lucrative business. Hedge funds, for instance, have been known to pay millions of dollars per year for unique, alpha-generating alternative data. Vinicius Vacanti and James Moran, two former Wall Street analysts, co-founded Yipit in 2010 to provide shoppers with the best online deals. To do this, they aggregated the deals of other aggregators, including Groupon and Travelzoo. Yipit became a one-stop shop for many online shopping fanatics. But despite doing well with its core business (Yipit raised $6 million in series B funding in 2011), Wall Street eventually pulled Vacanti and Moran back into the world of finance. In 2014, the two entrepreneurs launched YipitData, a platform that provides “insights and analysis from company web data” to institutional investors. What Yipit does better than anyone else is deliver insights on the daily deals industry. Hedge funds who are interested in Expedia, Groupon and Airbnb, for instance, naturally turn to YipitData. YipitData’s revenue is now approximately five times as large as Yipit’s. Cameras are everywhere. They’re on the streets, in public gathering places and on our phones. In 2011, The Guardian estimated that a CCTV camera exists for every 32 people in the UK. While some blanch at the statistic, the founders of Placemeter saw an opportunity. By using public video feeds and computer vision algorithms, Placemeter calculates how busy places are, what people are doing in real time and how fast cars go. Its computer vision platform translates everyday video feeds into structured data that can then be analyzed in real time. While the company’s original mission was to “make cities better” by helping urban spaces operate more efficiently, the data Placemeter collects is also invaluable to hedge funds. With foot traffic data that isn’t dependent on an app’s popularity, Placemeter can provide sidewalk traffic counts, store walk-in rates and other data-driven location insights. Yodlee Inc., which was acquired by Envestnet late last year, was a leading cloud-based platform for digital financial services. Prior to the acquisition, the company provided subscription services on a business-to-business-to-consumer (B2B2C) basis to financial institutions; that is, Yodlee’s FI partners would use its open APIs to create financial apps for their end users. Because of its large user base — the popularity of Yodlee’s apps helped the company partner with more than half of the largest banks in the US — the company has collected a wealth of anonymized transaction-level data (credit- and debit-card transactions), which it sells to hedge funds and research firms. Since share prices of many publicly traded retail companies are linked with quarterly revenue, investors often look to transaction-level data to assess the health of their stocks. According to The Wall Street Journal, this data is so valuable that some investment firms, including Tiger Global Management LLC, pay $2 million for an annual subscription to Yodlee’s data services. In 2014, these data subscriptions accounted for about 10% of Yodlee’s nearly $90 million total revenue. The multinational carrier Telefónica (O2), which provides mobile telephony in the UK and Germany, launched Dynamic Insights in 2012, marking its formal entry into the big data marketplace. Through this new business unit, Telefónica leveraged the data that it had been collecting with its cellular and free Wi-Fi networks, to offset the declines it saw in voice usage. Smart Steps, Dynamic Insight’s first product, helped retail stores track foot traffic to target neighborhoods for marketing purposes. The supermarket giant Morrisons, for instance, used the product to locate and convert its competitors’ customers in a massive coupon campaign. In the last several years, Dynamic Insights has moved beyond the retail space, using its data to predict modes of transport — road or rail, for example — information that is invaluable for train companies that bid for in-demand routes. Biotechnology startup 23andMe has amassed a significant amount of DNA data thanks to its home testing kits. Through its Personal Genome Testing services, customers take a saliva swab, mail it back to the company, who then analyze the sample and provide information on everything from adverse drug reactions and disposition to disease, to genetic traits like male pattern baldness. On the consumer side, 23andMe’s business is providing a steady revenue stream, however, it’s data productization strategy is where we will see real growth. In early 2015, 23andMe partnered with Genetech to inform it’s Parkinsons’s drug development by providing access to 3,000 anonymized genome records. Later that same year, 23andMe announced an agreement with Pfizer, one of the world’s largest pharmaceutical companies, to provide access to their genetics database. Only data from 23andMe customers who have consented to participate in research will be shared at any point, but nonetheless, these partnerships are proving a lucrative tactic in the company’s expansion. Many businesses from startups to multinational corporations have begun augmenting their revenue streams — sometimes exponentially — with their exhaust data. The challenge is twofold: resources and financial expertise. While MNCs like MasterCard have the capacity to build in-house R&D groups to mine their core data assets, many smaller organizations may resist investing capital to package and sell their own valuable data. Perhaps more importantly, they may not understand how to penetrate the aloof coterie that is Wall Street. That’s where alternative data providers like Quandl come in. 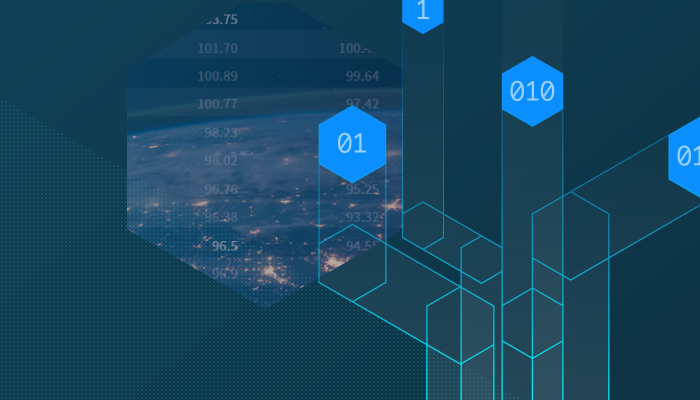 Our financial data science team will analyze and structure your data to surface its unique insights. We will deliver your data via our mature delivery infrastructure with institutional grade performance and reliability. And we already have users of almost all the largest hedge funds, investment banks and asset management firms in the world. We make it so that all you have to do as a company is provide the data. We take care of the rest. If you think your business has potentially alpha-generating data that is high quality and timely, please contact us to learn more.